Many travelers, including me, enjoy reading while traveling. The major problem of such a hobby is that books can quickly add up to the weight of your backpack. Finding books in some places is another common issue. Here, an Ebook reader would come in useful. Such devices are light-weight, capable of storing hundreds of books and often come with the ability to purchase books directly via internet. Other common features are web browsing and music playing. 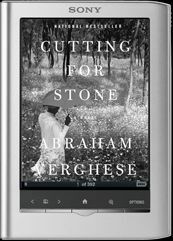 While the Ebook reader’s screen might not fully duplicate the feel and look of an actual book, most of the popular Ebook readers actually comes with a display technology called E Ink. This is different from the LCD screen we see in iPad or laptops which is not conducive for long hours reading because of the glare and reflection. Watch the Amazon Kindle advertisement below which shows the difference between an E Ink and LCD screen. Personally, I own the Sony PRS-350 Ebook reader. It is one of the smallest Ebook readers around and unlike the more popular Amazon Kindle, it supports ePub which is a free and open format used in E-Libraries and online bookstores. Borrowing an ebook might sound like an exotic concept. But it works rather well. Just like a normal library book, the borrowed ebook would automatically expire after a certain number of days set by your library. Here is a quick guide from the online library which I usually borrow my books from.